John R. ("Jack") Hewitt is a securities lawyer and focuses his practice on securities litigation and regulatory advice and counsel to broker-dealers, investment banks and investment advisers. His work involves virtually every aspect of the federal and state securities laws, including equity, fixed income and derivatives trading, market manipulation, net capital, short-selling, suitability, record retention, insider trading, cybersecurity and registration issues. Cybersecurity and RegTech are a major part of Mr. Hewitt’s practice, and he is a recognized national authority in these fields. Among other things, he advises firms on their development of information security programs, guides them through cyberincidents and represents them in any resultant regulatory inquiry. Mr. Hewitt regularly conducts cybersecurity audits for broker-dealers and investment advisers, and was the SEC appointed independent outside consultant in the first major SEC cybersecurity enforcement action, In the Matter of LPL Financial Corp., Respondent Admin. Proc. File No. 3-13181 (2008). Mr. Hewitt has written extensively on the regulation of electronic technology in the securities markets, including a series of articles for the New York Law Journal, and has chaired and spoken at numerous seminars on it. 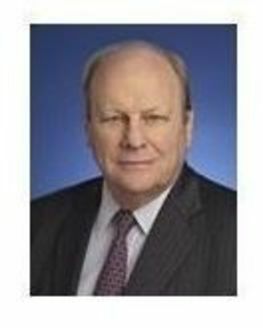 Mr. Hewitt is the author of Technology Regulation in the Federal Securities Markets, a BloombergBNA treatise, and is the editor and author of Securities Practice & Electronic Technology, an ALM treatise. He is also the author of the Record Keeping and Advertising Chapters of the PLI Broker-Dealer Regulation treatise. Mr. Hewitt is currently the Co-Chair of the American Bar Association, Business Section Subcommittee on Cybersecurity. He is a recipient of the Compliance Reporter Compliance Person of the Year award for his work in electronic technology regulation, was a participant in the Securities and Exchange Commission’s roundtable discussions on internet issues and is listed on the International Who’s Who of e-Commerce Lawyers. Mr. Hewitt has extensive experience in securities regulation, beginning with his tenure as an Ohio Assistant Attorney General and senior prosecutor for the Ohio Division of Securities, followed by his role as a Senior Counsel in the SEC's Enforcement Division in Washington, D.C. In these capacities, he successfully prosecuted broker-dealers, investment advisers and others for various violations of state and federal securities laws and was involved in several significant federal prosecutions including the Drexel Burnham matter. Mr. Hewitt was also a Senior Vice President and AGC at Shearson Lehman Hutton and Lehman Brothers, where he successfully defended these firms in various federal and state securities investigations. Mr. Hewitt has been a partner and counsel at several of the country's finest law firms including Mayer, Brown; McCarter & English and Kelley Drye, where he advised and defended many of the country's largest and finest financial institutions. Represented Michael R. Pelosi, an investment adviser, in an SEC administrative action and the appeal to the Securities and Exchange Commission of the administrative order in this matter. The order found that Pelosi violated the fraud provisions of the Investment Advisers Act by providing false information in his performance reports to his clients. Mr. Pelosi maintained that his performance reporting was based on a calculation methodology that, while differing from that used by his firm, was nevertheless accurate and consistent with Advisers Act standards. The Commission ruled for Pelosi finding in a case of first impression that this use of an alternate performance calculation was consistent with established Advisers Act standards. Represented a broker-dealer and three registered representatives in a FINRA investigation and enforcement action involving claims of unregistered sales of securities and fraudulent statements in these sales. FINRA alleged that the firm and these individuals offered and sold certain limited partnership interests that were not registered with the SEC and that were sold through general solicitations over the Internet. FINRA alleged that these sales violated its Rule 2010 and that the Firm had failed to establish and execute proper supervisory procedures to review these transactions. The settlement involved fines, short suspensions and certain undertakings. Represented a broker-dealer, branch manager, and two registered representatives in a FINRA investigation and enforcement action involving claims of their failure to adhere to REG SHO requirements in the sale of certain fixed income securities. FINRA alleged that Kellogg and Mr. Henriquez had executed various short sales over a year period that violated SEC Rule 203(b)(1) as the Firm did not have an exemption for these sales and failed to secure an appropriate borrow for them. FINRA also maintained that the Firm did not have reasonable grounds to believe that the security could be borrowed. The settlement involved only the Firm and one registered representative and included a fine, suspension and certain undertakings. Appointed the independent consultant in an SEC enforcement action settlement against LPL Financial, one of the largest independent broker-dealers in the U.S. This matter involved numerous violations of Reg S-P including the firm’s failure to safeguard their customers’ personally identifiable information. The consultant was required to review the firm’s systems and written policies and procedures relating to Reg S-P; make recommendations on revisions to these and file a report with the SEC concerning these policies and procedures with a view to assuring the firm’s compliance with Reg S-P. Advised numerous broker-dealers and investment advisers on the development and implementation of their cybersecurity Information Security Programs and their RegTech policies and procedures. Advised numerous broker-dealers and investment advisers during cybersecurity incidents including an analysis of the ongoing incident, the assessment of PII, the remediation of damage and all communications with regulatory authorities. Advised numerous broker-dealer and investment adviser clients on their registration with the SEC and FINRA including the development of their operational, compliance and cybersecurity procedures. Advised one of the country's largest insurance companies on its development and implementation of a records management program and an information security program. This involved the review and analysis of numerous operational and record retention systems and the integration of these systems into a single records management program and, for the ISP, the development and implementation of a risk management system, an access policy, a mobile policy, a vendor policy and an incident response plan. Advised one of the largest U.S. online broker-dealers on the development and implementation of their record management program. This involved the review and analysis of numerous back office, trading, e-mail and record retention systems and the integration of these systems into a single records management program. Advised one of the country’s largest broker-dealers in its development and implementation of remedial measures relating to the firm’s failure to comply with the Rule 17a-4 WORM requirement. "Third-Party Cyber Risk - From Compliance to Enterprises Security", ICBA Webinar, Panelist, December 12, 2017. "An Analysis of the New Financial Market Technologies", BloombergBNA Webinar, Moderator; August 3, 2017. “An Analysis of the NYS Dept. of Financial Services Cybersecurity Regulation”; BloombergBNA Webinar, Moderator; January 25, 2017. “The Financial Regulation of the Third Platform – the Cloud, Big Data, Social Media, and Mobile Devices,” Bloomberg BNA Webinar, October 28, 2015. “Cybersecurity, Governance, and Data/Network Protection,” IA Summit, Financial Resource Associates, Panelist, July 2015. “Financial Responsibility, Regulation and Examinations,” PLI Fundamentals of Broker-Dealer Regulation Seminar, Panelist, June 2015. “Cybersecurity Panel,” SIFMA C&L New York Regional Seminar, Panelist, October 2014. “Financial Responsibility, Regulation and Examinations,” PLI Fundamentals of Broker-Dealer Regulation Seminar, Panelist, June 2014. “Cybersecurity in Securities Markets,” Bloomberg BNA Webinar, Panelist, May 14, 2014. “Cybersecurity for Investment Advisers: Threats and Best Practices,” IAA, Panelist, May 1, 2014. “Examination and Enforcement Developments,” ALI CLE, Panelist, January 22, 2014. “Cybersecurity Strategy: Regulatory Guidance and Best Practices to Mitigate Risks,” Commercial Law Web Adviser, Panelist, September 11, 2013. “Cybersecurity for Investment Advisers and Broker-Dealers,” Panelist, June 2013. “Financial Responsibility, Regulation and Examinations,” PLI Fundamentals of Broker-Dealer Regulation Seminar, Panelist, 2012 and 2013. “Technology Regulation in the Federal Securities Markets,” Bloomberg BNA Treatise, Securities Practice Portfolio Series, 2018. “An Analysis of New York’s Cybersecurity Regulation”; Bloomberg Law Insights, BNA’s Banking Report, February 2017. “Cybersecurity in Federal Securities Markets,” Bloomberg BNA Treatise, Securities Practice Portfolio Series, 2014. “Responding to State Breach Notification Requirements,” German American Chamber of Commerce Legal & Tax Newsletter, September 2014. “Regulatory Guidance Informs Best Practices for Cybersecurity,” The Metropolitan Corporate Counsel, May 1, 2013. “Record Keeping and Advertising Chapters," PLI Broker-Dealer Regulation Treatise, PLI, 2008. “Securities Practice & Electronic Technology," Treatise, ALM, 1998.